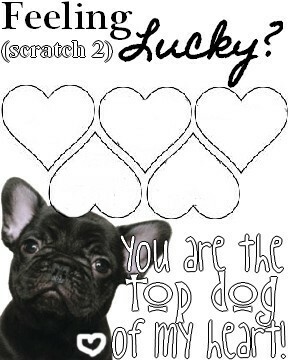 The Cute Lifestyle: DIY: Free Printable Scratch Off Valentine! DIY: Free Printable Scratch Off Valentine! 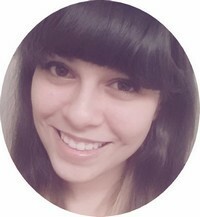 After clicking the link, right click the picture and choose "save as"
Sometimes I like to pretend I'm a Graphic Designer and that I know what I'm doing (hint: I'm not and I don't haha!). 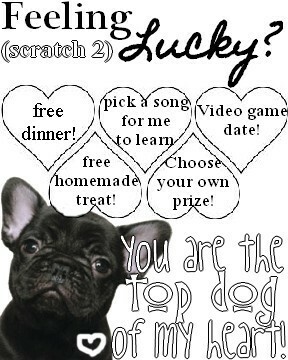 I made this cute little valentine for my boyfriend after seeing this super cute tutorial for making homemade scratch-offs on Spoonful.com. I designed my card with our favorite dog breed and filled it with prizes I thought he'd enjoy. (In case you're wondering about the 3rd prize, he's been wanting me to learn a song of his choice on my ukulele since forever!) If you like my valentine, you can download it by clicking the link under it! Not really feeling the prizes I chose? Want to personalize it yourself? Make up your own prizes and fill them in yourself on my blank valentine! On mine, I'll be adding a bit of extra cuteness by gluing ruffles of fabric or lace along the top and bottom. Feel free to deco this! Add glitter, sequins, rhinestones or just make a whole different design of your own! Hope you liked my little card design! Are you making valentines this year?